LIVE @ The Brudenell Social, Leeds TONIGHT! 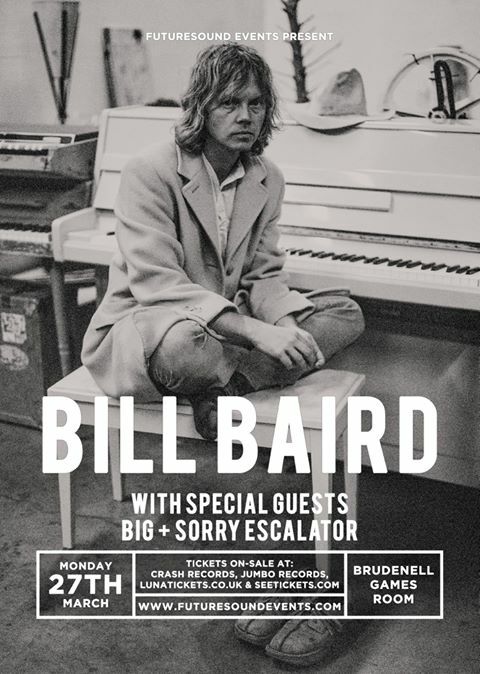 As part of their spring promotional tour Sorry Escalator play with Big as support to Bill Baird (Capitol Records) for Futuresound at the legendary Brudenell Social Club. Bill Baird is multimedia, audio and visual musician and artist. A Texan signed to Capitol Bill Baird composes music, music videos, writes for a direct access public space channel and works as a representative of the Ministry of Foreign affairs in Electronic Music. Tickets are available on the door or through the Brudenell link above. 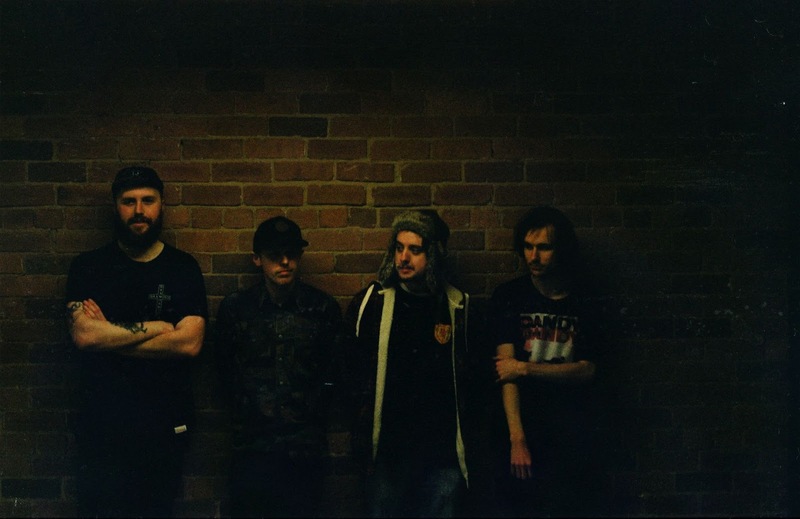 The Sorry Escalator tour is going well ahead of the bands AA side single release in April, and you can now stream 'Generation Winter' one of the two brand new tracks from that release via the bands Soundlcoud. We’re excited to be able to announce that Sorry Escalator start a promotional tour tomorrow night at Middlesbrough’s TS one. 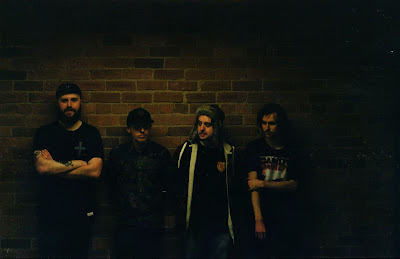 Hosted by Whirling Dervish, the event sees Sorry Escalator supporting fellow Teessiders, and headliners, Year of Birds on their tour for new LP ‘White Death to Power Alan’. It is with new releases in mind that our band Sorry Escalator are setting out on tour. Their new AA side single is out in April, their first release on new label Imagination Engine Records. We’ll be bringing you more details on the physical/digital release of A] Generation Winter / AA] Street Corner Absurdity tomorrow. Fear not though, from tonight you can preview the official audio for A] side ‘Generation Winter’ on our YouTube channel here. 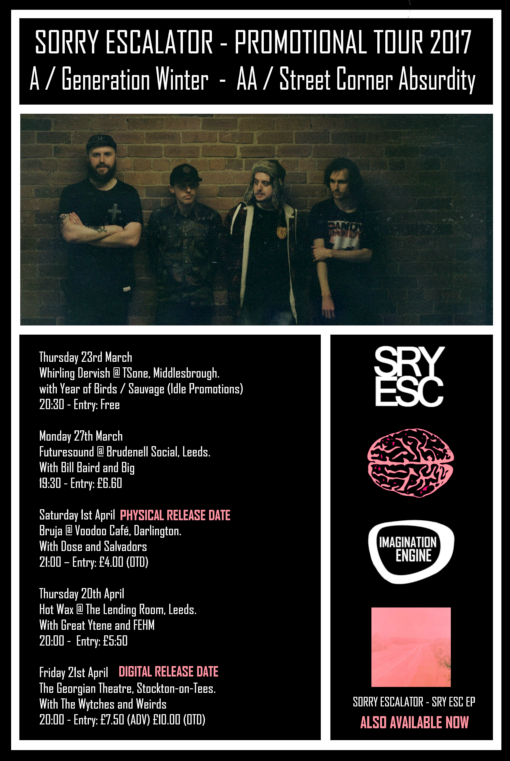 The short Spring promotional tour will see the band play both new tracks from their debut Imagination Engine release alongside tracks from their hugely successful, now sold out in physical format, self-released, self-titled debut SRY_ESC EP. Along with acts like the afore mentioned ‘Year of Birds’ the tour will see the band play on bills with Dose, Great Ytene, FEHM and Weirds amongst others. During the tour the physical and digital versions of the AA side single A] Generation Winter / AA] Street Corner Absurdity will be released. The tour will also see the band play in some great venues along the way. There is even talk of one event host in particular concocting a specifically prepared cocktail to be paired with the band. TASTY! Such heady goodness reaches a fitting crescendo back on home turf in the refurbished The Georgian Theatre at the gig supporting The Wytches. Keep a look out for the physical release on Cassette (with download code card included) and other merchandise at the shows too, with limited edition runs of T-shirts, badges and stickers from both the band and the label. Here is the full list of gigs and links to their Facebook event pages. Enjoy the sneak preview of A] Generation Winter and see you on the road soon. Whirling Dervish @ TSone, Middlesbrough. Futuresound @ Brudenell Social, Leeds. Bruja @ Voodoo Café, Darlington. Hot Wax @ The Lending Room, Leeds. We're unapologetically elevated at being able to announce that Sorry Escalator are the first band to sign to our label. 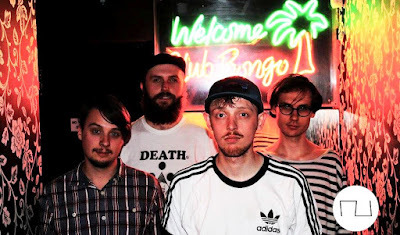 Sorry Escalator are a four-piece Alt-Rock / Shoegaze band based in both Middlesbrough and Leeds featuring Ryan Welsh (Guitar/Vox), Shaun Lockwood (Guitar/Vox), Sean Graham (Drums) and Jamie Hogg (Bass). Originating from a recording project initiated by frontman Ryan and Drummer Sean back in 2013. The band changed line-up over that period of time and after Shaun stepped in on a recording session, had found their sound. “Shaun joined fully to play lead guitar and brought with him new songs and ideas. We went through a number of bass players before we found Jamie in 2016” said the band. Influenced by music released on independent and underground labels in the 80’s and early 90’s, such as Creation Records, 4AD, Domino, SST, Warp, and as fans of bands like My Bloody Valentine, Radiohead, Sonic Youth, Dinosaur Jr, Swirlies and Slowdive. Sorry Escalator blend many iconic influences with their own musical talent to bring about that familiar wall of sound associated with shoegaze era bands. Their plush psychedelia wraps around indie basslines, bringing rock drums into the mix with atmospheric synths and sixties production trickery to define their own brand of sound. Ryans lyrics, often of a deep introspective or tangibly, extrovertly political are wound around their sound in subtle yet beguiling ways. Talented lyricists, musicians and songwriters we welcome then to the label with open minds and wide smiles. Having extensively toured their eponymously titled self-released debut EP (still available as a digital release here) the band are due to announce the release of new material and promotional tour dates in the coming days. A rocking indie pop single brews, builds and bubbles over into a thrashing splash of cymbals and face melting harmonies of distortion, thundering bass and cosmic revelry. A very danceable track with a catchy chorus hook. One play is never enough in this ‘curious ride’. In this track taken from Sorry Escalator’s debut EP SRY ESC. Percussive swagger, jangling rhythm guitars and lead lines erupt in bursts of euphoric fuzz distortion as the hipshaking bassline ripples underneath. The trademark observational introspection of frontman Ryan Welshs’ lyrics are ever present. As ‘Dionysus’ named after the god of the grape harvest, wine and its production, ritual madness, fertility, theatre and religious ecstasy in ancient Greek mythology, considers the philosophical musings that occur when one is in an enlightened and enlivened even possibly heightened state of consciousness.